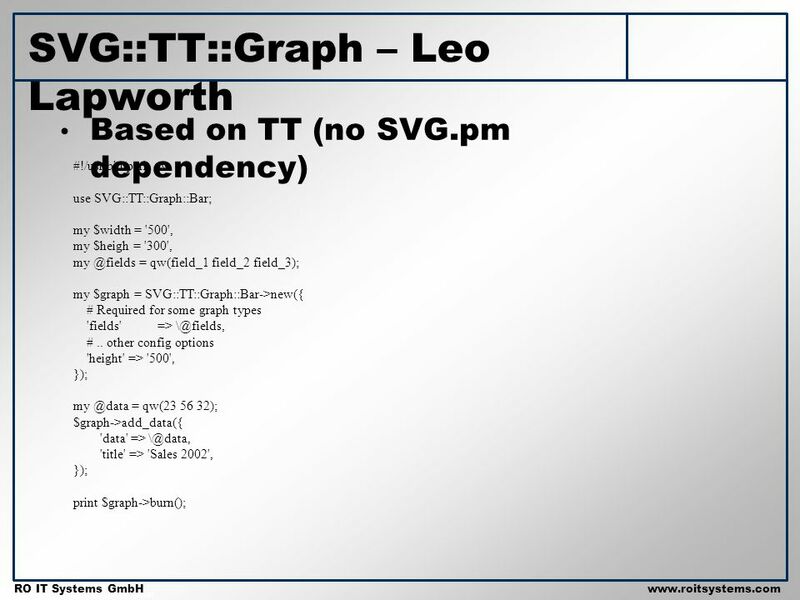 Copyright 2001 RO IT Systems GmbH RO IT Systems GmbHwww.roitsystems.com SVG And Perl London.pm Tech Talks. 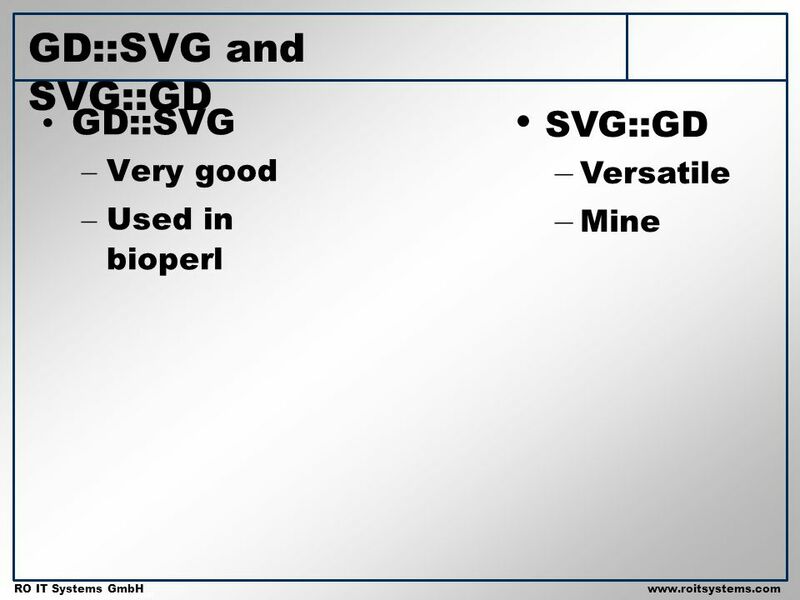 14 Copyright 2001 RO IT Systems GmbH RO IT Systems GmbHwww.roitsystems.com GD::SVG and SVG::GD An API to an API: – Trying to allow us to re-use GD (raster) code to output SVG (vector) drawings – Translates the GD API to the SVG.pm API – Early development stages. 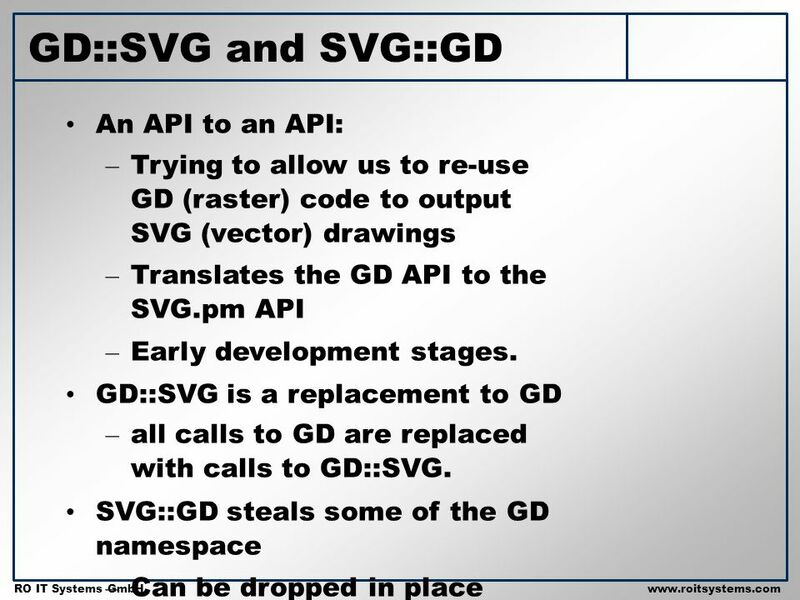 GD::SVG is a replacement to GD – all calls to GD are replaced with calls to GD::SVG. 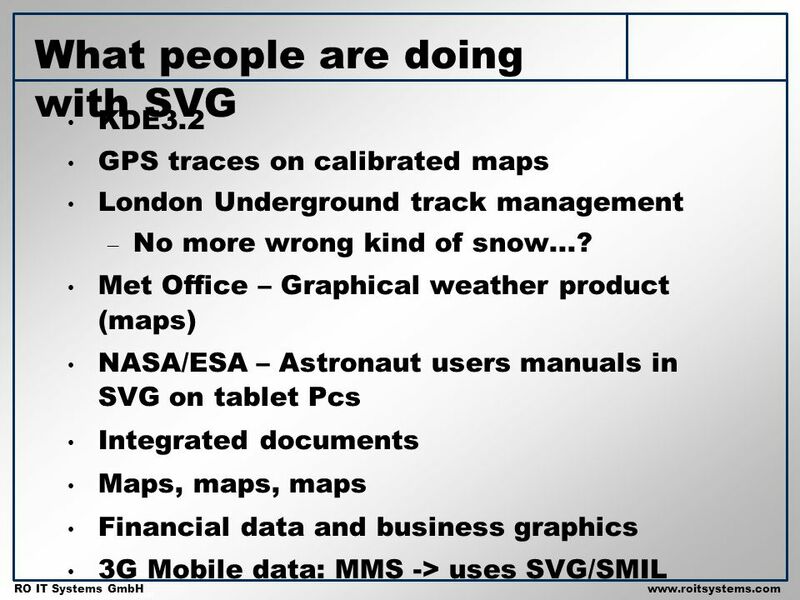 SVG::GD steals some of the GD namespace – Can be dropped in place – Can be used with GD::Graph or GD::Whatever effectively. 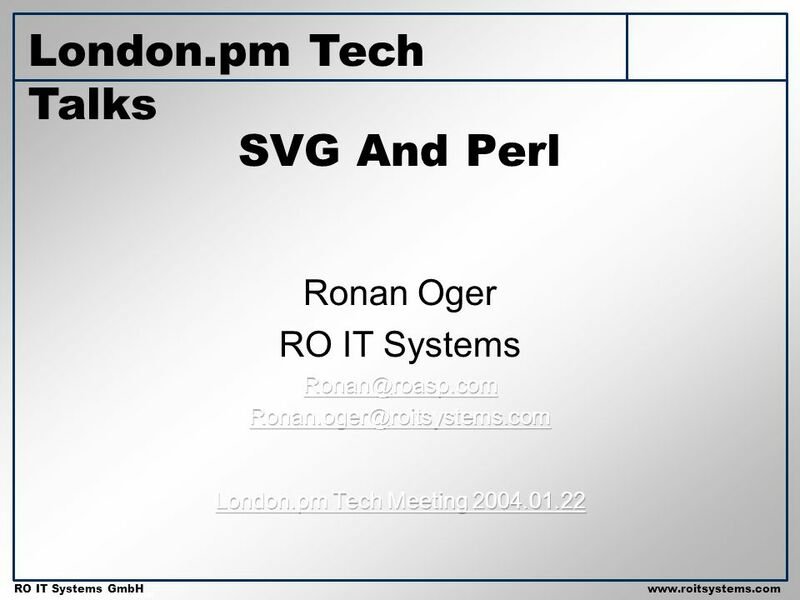 Download ppt "Copyright 2001 RO IT Systems GmbH RO IT Systems GmbHwww.roitsystems.com SVG And Perl London.pm Tech Talks." 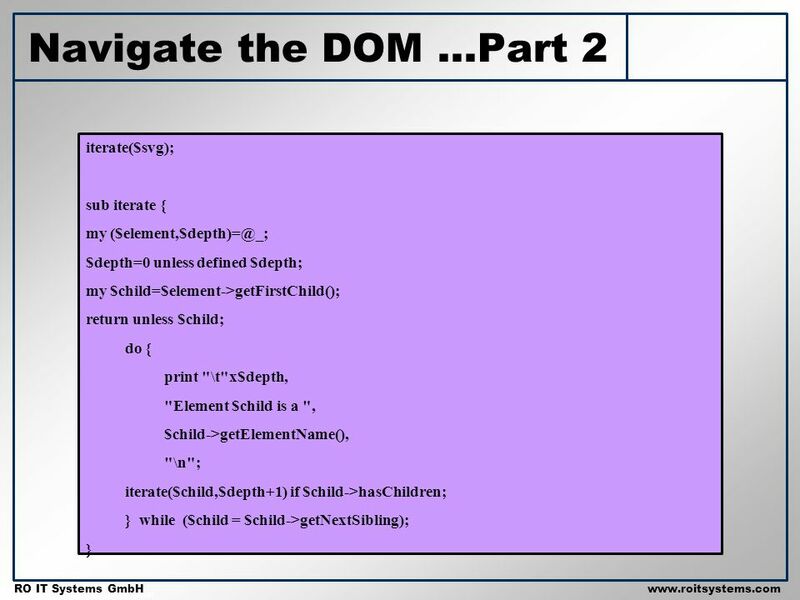 HTML Basic Lecture What is HTML? 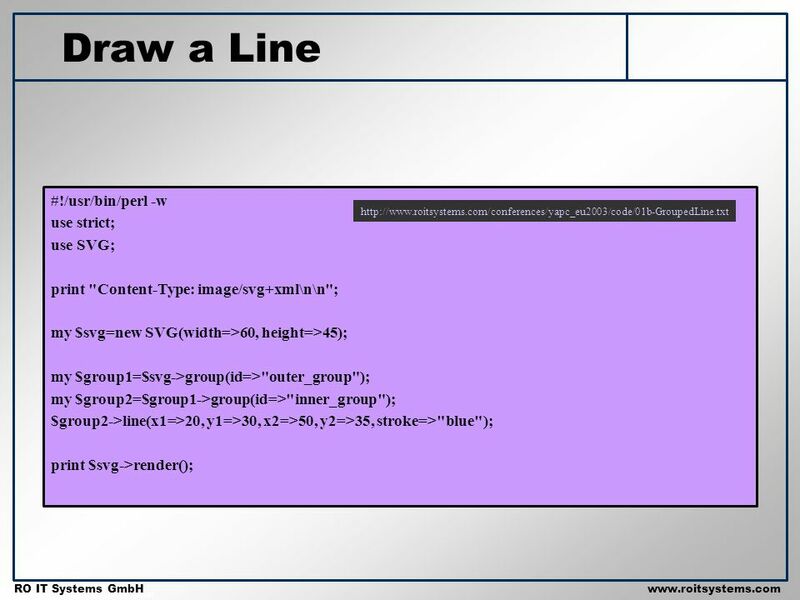 HTML (Hyper Text Markup Language) is a a standard markup language used for creating and publishing documents on. Copyright 2001 RO IT Systems GmbH RO IT Systems GmbHwww.roitsystem s.com A Web Interface to Autotrace 9 March 2004 Ronan Oger RO IT Systems GmbH London. Copyright 2001 RO IT Systems GmbH RO IT Systems GmbHwww.roitsystems.com Building an SVG GUI with Perl YAPC::EU 2003. 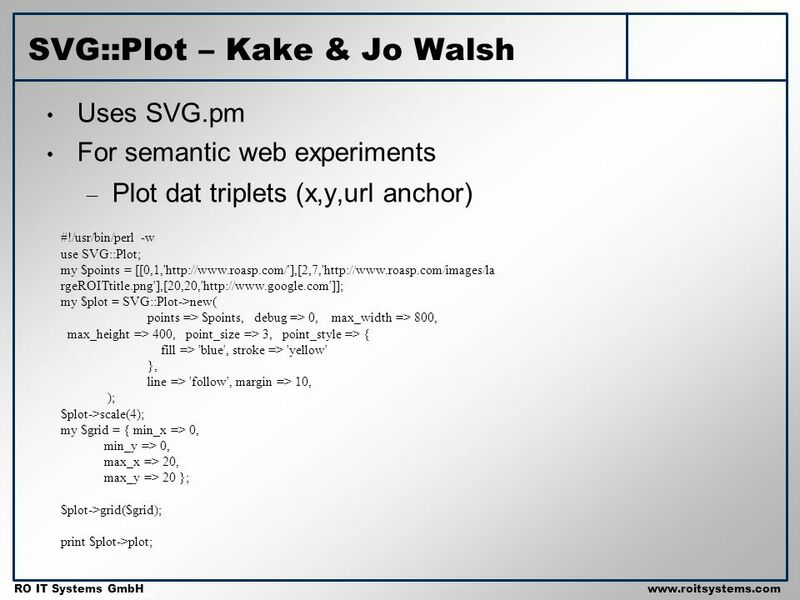 Introduction to Web Design Lecture number:. Todays Aim: Introduction to Web-designing and how its done. 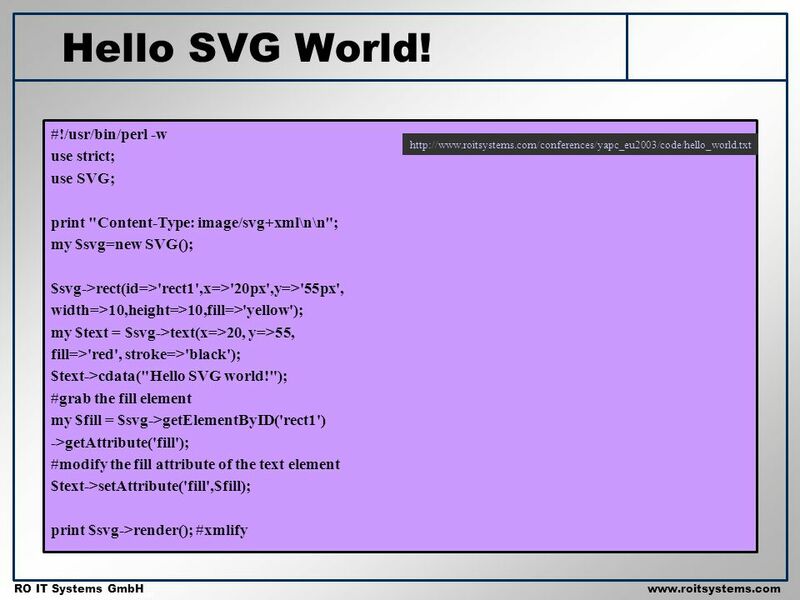 Modelling websites in HTML. Copyright 2001 RO IT Systems GmbH RO IT Systems GmbHwww.roitsystems.com Part R: Thin-client SVG GUI forms Ronan Oger – SVG Open 2003 SVG GUI Workshop. CSS3 OVERVIEW Owen Williams Owen at dynabooks daht com. 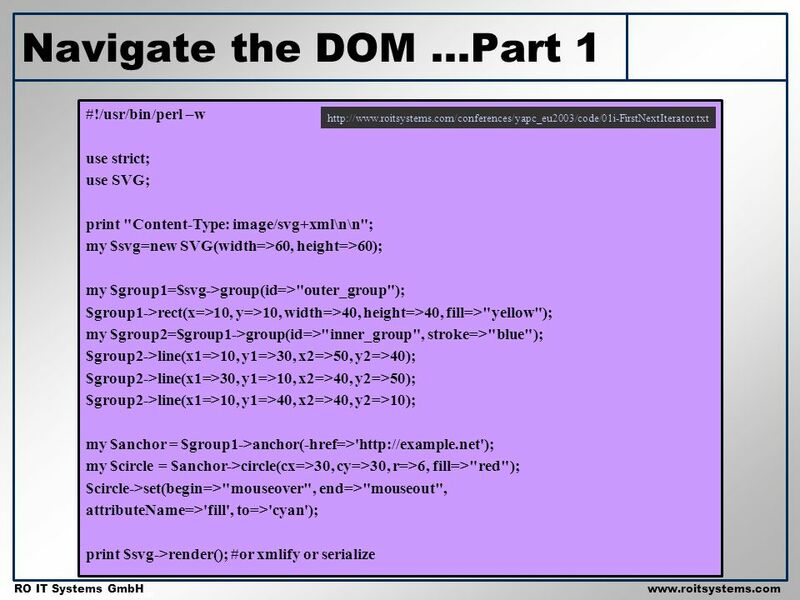 Copyright © 2003 Pearson Education, Inc. Slide 3-1 Created by Cheryl M. Hughes The Web Wizards Guide to XML by Cheryl M. Hughes. 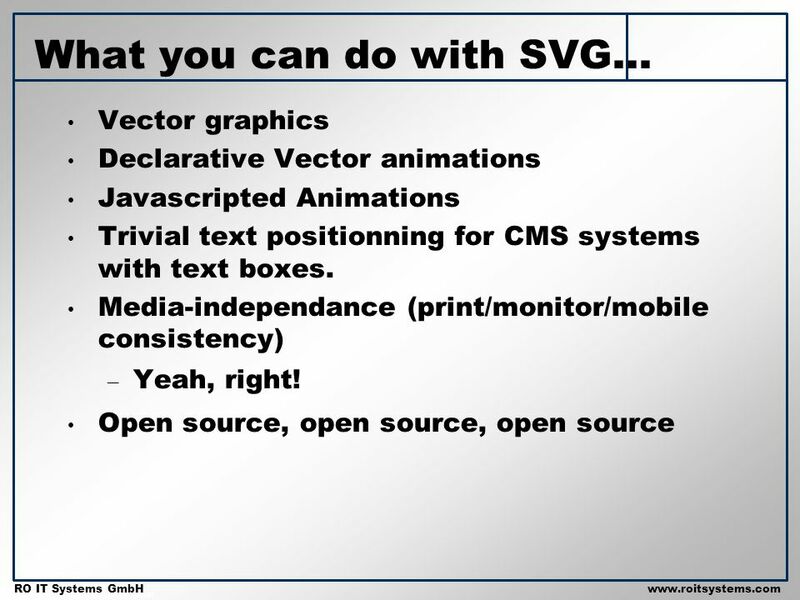 WebCGM and SVG: a comparison (Dieter Weidenbruck, CGM Open) Lofton Henderson, CGM Open Chris Lilley, W3C. 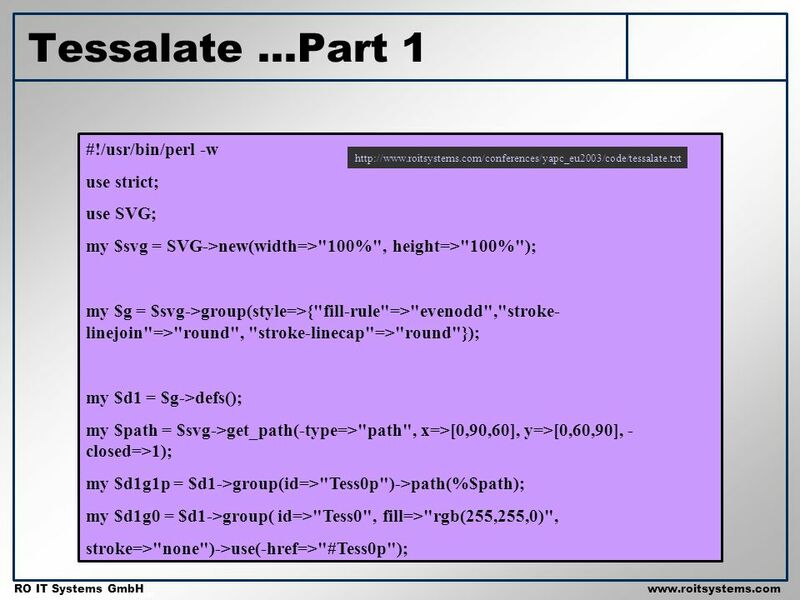 Applications of XSLT. 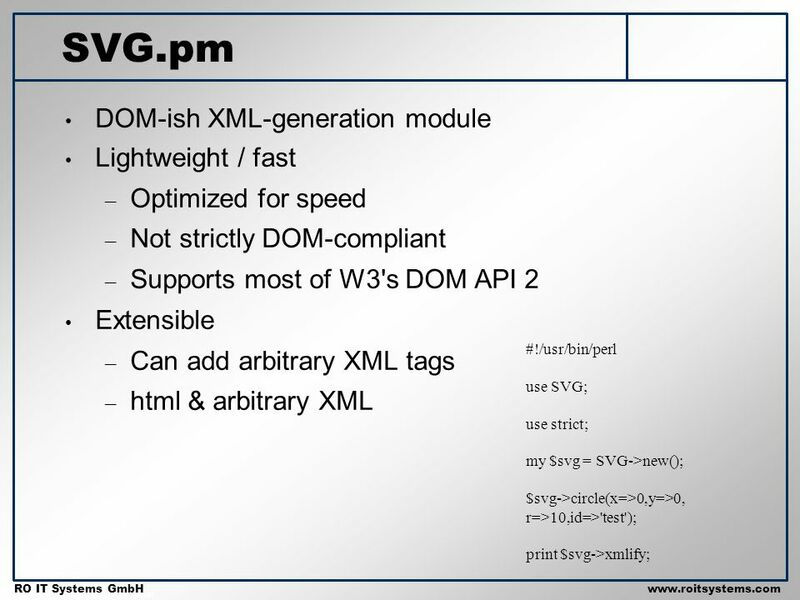 generating Word documents WordML provides formatting and content elements Word 2003 can read WordML files XSLT can be used to transform. I can interpret intervals on partially numbered scales and record readings accurately ? 15 ? 45 ? 25 ? 37 ? 53 ? 64 Each little mark. 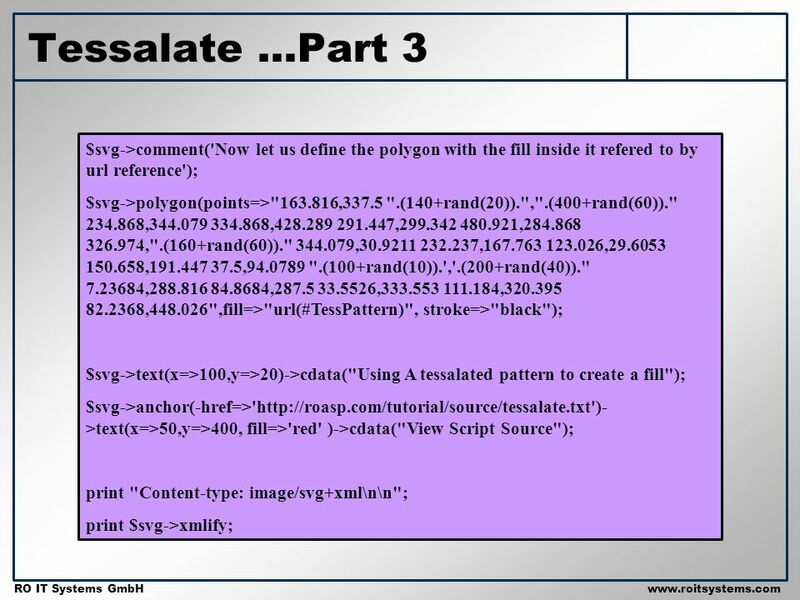 Dr. Alexandra I. Cristea CS 253: Topics in Database Systems: C3. 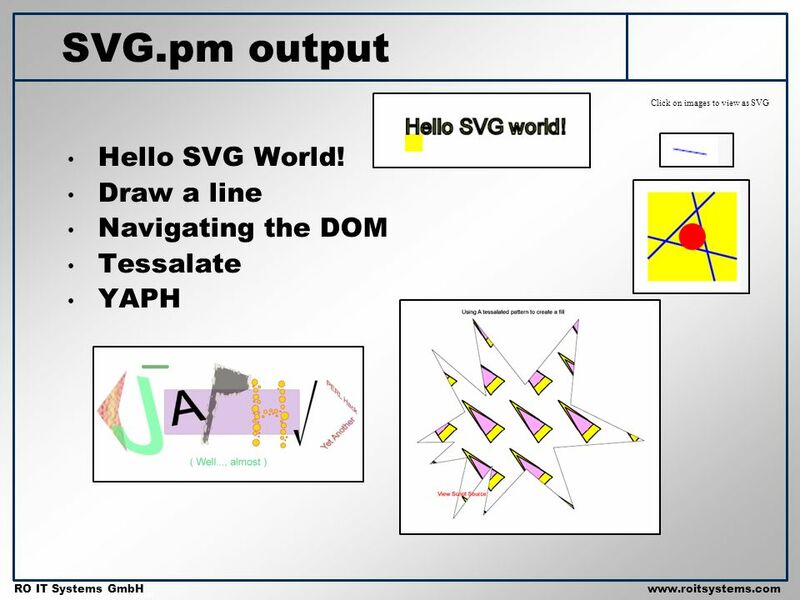 CSCI 3100 Tutorial 6 Web Development Tools 1 Cuiyun GAO 1.